“It is pitiful that you are religious Shana, But the PR must be great”. This comment on my last blog made me go through a plethora of emotions, and I sat, staring at it Holy–cross-eyed for at least ten minutes. As a Christian, I find it difficult to respond to people sometimes, because I am expected to turn the other cheek, and represent the Lord in all of my words. So when I feel my natural urge to ask the commenter if she’s a ‘naai’ bubble up in my throat, I sit in an actual feud with the angel on my right shoulder, and the coloured kin on my left. I don’t know why so many people are upset by my “sudden Christianity”. Actually, being a Christian that defends Christ has seemed to get me into a lot of hot, unholy water as my journey has progressed. But this isn’t what this week’s installment is about. Atheists don’t bother me. Many of my atheist friends keep to themselves, and only crawl out from under their superiority complexes when great scientists die. It’s all very bearable. It is the Atheist’s Witness that is absolutely annoying, and it is almost ironic how these few try to convert you into their way of thinking, by ridiculing everything you say, as if atheist and academic/woke/comedian are words synonymous of each other. “Do you have a minute to talk about Atheism?”. “Haha, look at my Jesus meme”. You are very passionate about discrediting someone you don’t think exists. No, actually… since proclaiming that I am now saved, my PR has been terrible. I must have misread the scripture before making the blood-pact with the Lord. I thought it said “Whoever serves me must follow me on Instagram; and where I am, my servant also will be Facebook famous (That’s New Testament). And the lookout shouted, “Day after day, my lord, I stand on the watchtower; every night I sponsor my post”. “This is what the Sovereign LORD says: “‘With a great throng of people I will cast my internet over you”. Now I sit here, writing for at least 1000 less people than before. But still willing to share to those are willing to listen. And even though you hate me, and you hate my Jesus, dear commenter… You are still more than welcome to partake in my experiences and enjoy my blog… even if the sole purpose is to discredit me. See? Yet another example of science and religion working together. I have sold my soul for advert revenue, though. I guess that’s MY Soul Purpose. … (I was funnier before Christ). I have told this story before… partially. This is the part that I chose to keep to myself. August 2015 was the unluckiest month of my life. Or so I thought, at least. At the time, I was a journalist at SA Breaking News in Milnerton, and was trying to juggle having an abusive ex who wouldn’t leave me alone, a new job, two kids, depression so bad that I didn’t even get dressed for work… and an unending mountain of bad luck. Anyone who was following my personal Facebook page at the time, may remember that just before Lyle died, I fell victim to a series of unfortunate events. My tyres were slashed twice, outside of my office. My car broke down almost twice a week. My dad became very, very ill. I shaved my head. (Avoidable yes, but to be honest… mentally it was the only hairstyle I could handle). But the most memorable for me, was the recurring dream I had, every single night. Now, as context; whenever I used to write as ‘just a hoe with babies’, I would mentally put myself into the mindset of another person. The Hoe was my Sasha Fierce, as I needed to detach myself from the painful experiences I had come to put down on paper, almost weekly. In my head, she had a different personality to mine. She was bold, and unapologetic. Traits that, if you meet me in person, you will notice that I lack… I am way more timid and self-conscious, sometimes covered by manic episodes. For the month before Lyle would die (on September 5th), I had the same strange dream that would end in me waking up in a sweat. I only told a handful of my friends. *I (or at least my JAHWB persona), am at AFDA University, sitting on a bench, underneath a metal balcony. On the same property (not mimicking real life), there is an abandoned school building. Lyle is sitting with me, and I am aware that I am terrified to move. We are both looking at the school, through one of the open classroom doors. We are sitting in silence, because he doesn’t want me to speak. This mimics many occasions in real life, in which he would make me stand in the corner of our Lakeside separate entrance in silence, so that I could feel the full pain of my endometriosis induced period cramps. In the room, I can see three women, sisters. The women are all in what I assume to be attire/dresses from the 1900s. The one woman, is the apparition that I sometimes see in my waking life. The women are staring at me, silent. All of a sudden, the ladies seem restless, and I realise that Lyle has me by the back of my collar, and is dragging me up the stairs, to the tiny balcony. I am screaming and crying, and as we get to the top, he holds his hand over my mouth. When I look down, I see broken bricks spewed across the ground, and I recognize the terrain as the large field behind Lyle’s house. The same field where weeks later, his body would be found in real life. He squeezes my lips tight, and jumps with me. I can still feel my body landing on the bricks. Laying on the floor, still in his arms, I see the three women emerge from the room, and walk towards me. That is all they say, and then stare at me in silence. I get up, and dust myself off, and walk towards them… but they point to something behind me. When I turn around, I see Lyle and ‘the hoe’ lying dead on the ground, his hand still firmly clasped around her mouth. I just stand there, looking at our dead bodies. Every time I woke up, I would feel a release of emotion. The truth is I longed for the day I would be told that the monster was dead. I would constantly ask him “When are you gonna vrek jou naai?’ to which he would smile that sadistic smile and reply, ‘You really want me vrek? You fokken love me’. Then, the Sunday before he died, I fetched Rose from his home. His girlfriend was there. I could see her through the window that separates their lounge and entertainment area. He looked at me, and told me how ‘lekker I look’. He was being nice. But not the usual snake-like charm he was known for. He had an air of sincerity. I put Rose in the car, and he asked me to kiss him. No thought could have nauseated me more. As Rose and I drove away, I looked at him in the rear view mirror. And even though he was smiling and waving… for the first time, I saw Lyle look sad. … And that was the last time I would ever see him. As the week went by… he called me to tell me that his uncle/neighbour had been killed in a shooting at a well-known Strandfontein merchant’s home. I responded with “when is it gonna be your turn?”. The next day, he called me at work again, and I said that I had no interest in talking. The Thursday, when my phone rang, I ignored it twice. The third time, I answered and Lyle said “Your restraining order came”. When I got home from work on Friday 4th September, my throat felt strange. Jonah was playing with my dad, and Rose was asleep. Strangely, my mom mentioned that Rose had been sleeping for most of the day. When she hadn’t woken up by 8pm, I knew that she would probably sleep through the night… so I got Jo and got into bed. I put on the movie Room 1402. My family was already asleep, and Lyle was calling me. He called me several times that night. I put my phone on silent and laid there crying. Love was an emotion I no longer wasted on him, but years of abuse and confusion suddenly flooded my memory. I thought of how he would beat me. With his fists. And then tell me he didn’t even hit hard, the police will laugh at me. I thought of how he would mock me when I cried. He would always pull his face to mimic mine, and then hit me again. I thought of how he raped me, and then peed on me, while his mom slept in the same room. I thought of how he didn’t even have to gag me for me to be quiet. I just knew I was supposed to pretend that I was asleep so that I didn’t make the situation awkward. The anger that filled my entire body is still inexplicable to me. Just the audacity he had to try to charm me again, after everything he did seemed disgusting. He had no accountability, and thought so little of me that he would actually try again… and believe that I would consider it.. which I did. I was angry at my lonely vulnerability too. I know that by the time I fell asleep, I was engulfed in that half Trance-like state in which I see the apparitions that plague me, mostly in my lowest times. I remember sitting up straight in the dark, half awake, half asleep. I remember seeing a man standing at the end of my bed. I don’t remember my conversation, but I remember still being very angry, and the last thing I heard myself say was “I want him to die”, before I fell back to sleep. When I woke, September 5th swept me away. I never had the dream again, but for two weeks after Lyle’s death, I couldn’t speak. I contracted an aggressive throat infection and my throat was filled with puss. My fever had me working from home for that time. And I immediately knew that this was his hand over my mouth, grasped tightly… even in death. In my Sabbatical from the blogosphere to nurse my nervous breakdown, I received a message from a long lost friend. Iptishaam was my best friend, when I was dating her brother. When I fell pregnant, and things between Huzaifa and I soured, my relationship with her withered. She told me that she had stomach cancer. I am not proud of many things I did in my past. This is one of the more deplorable sides of my personality that I try to hide from my children and my readers. But I am not a forgiver. Most of the time, I try to keep my cool, as not to stir up the ugly side of my persona that I have had to develop, in order to deal with years of pain and rejection, stemming from my childhood right up to meeting my husband. Again, this is for another blog. But when Iptishaam told me that she was in stage four of her colon cancer, I remember laughing. I sincerely enjoyed that she was in pain. And I merely replied: “I hope it kills you”. Again that night, I woke up to a man in my room. The inability to move made him feel so powerful. Again, when I awoke, Jonah and I were sitting up straight. Soon, her husband messaged me to tell me that she had died. In that time, my dad lost his home… and we moved to a flat in Muizenberg. Things from the other side seemed to have calmed down. Life seemed to be settling down, and I was settling in to my new position as the editor at the office. I was reconnecting with my kids… time passed and before I knew it … Riyaahd and I started to hang out more and more as friends. Then, my best friend Riyaahd Fife kissed me for the first time. And something in the air shifted. I smiled all the way home. I climbed into bed next to Jonah, and Rose was asleep in my mom’s room… on her pa’s chest. I slept deeply that night. Too deeply. I usually awake easily… But this night, When Sidney tried to wake me, I just didn’t get up. In the morning, I woke up very, very drained. “Daddy!” I shouted, unalarmed. Your foot is bleeding again. Just check. I got up, peed… and made my way to my dad’s room. They were all still sleeping. Rose was still firmly on his chest. Still unperturbed… I made some coffee and got back into bed. “Uncle Lyle was here. I tried to wake you”. I still had my goofy Riyaahd smile on my face. I didn’t quite register. “He was next to your bed mama. We tried to wake you. He’s a bad guy”. At around 3am, I awoke, sweaty and frozen. I sat up. Someone had touched my foot… but Riyaahd was lying next to me. I turned and looked straight into the face of a man.. and I screamed..
We sat up that night, and I told him about everything I had seen and experienced. You see, when I looked directly into the man’s face, I felt fear, yes… but only for a second. It is unbelievable how many emotions the human mind can comprehend in a matter of seconds. I felt scared, and then reassured. I actually knew that he wasn’t there to hurt me. And the part of me I try to suppress, couldn’t help thinking that he was just waiting for my next request. But that’s probably just the ridiculous manifestation of a brain that has been abused for years. A brain diagnosed with bipolar and OCD. A brain that in its raw state, has been hurt by so many people, that the smiling face of a demon could cause it a split second of comfort. Smiling demons are really all I know, even in this realm. And it has left me damaged, I think irreparably sometimes. But I have also seen the other side of the spectrum. My father coming back from the brink of death. I have seen babies die, and I have seen angels approach people and out of nowhere give them hope that changed their lives. And no, I have no interest in converting people. I only want to tell my stories to open minds. I also have no interest in PR. If I did, I wouldn’t talk about things that make ‘smart people’ roll their eyes. I’d make mediocre dancing videos. Or feed white people gatsbies, so that they can start their own Ciabatta and bree movement. Or I would make hair tutorials on YouTube, in which I showed grown women how to put on a pompom and a headband correctly. Or I would try to hide my widely discussed cocaine addiction behind the guise of a public breastfeeding campaign. Or you know, something less specific…. I certainly wouldn’t talk about Jesus. I wouldn’t want to seem pitiful. Everybody deserves a safety net. If something happens to you, make sure to leave your kids enough to survive and thrive. 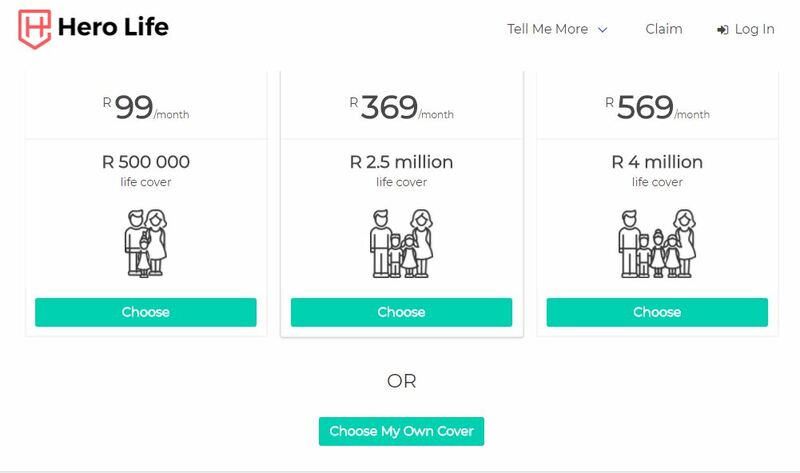 Hero was founded by a bunch of people who believe that, when given the right tools, simple solutions and the right support, each person can decide for themselves how to secure their family’s future. This is the first article I have read and I love it! It’s so amazing that you have found an outlet that helps you deal but also is available for those going through similar experiences as you! Well done. My favourite types of people are hypocrites…they are very entertaining. – it’s ok for me to judge and criticise you…but the moment you have a constructive opinion about me… I feel attacked. The only way to deal with those types…is to ignore and continue doing you. People will judge and criticise whether you’re doing good or bad. You can’t please everyone…accept yourself. The depth of your writing touches me to my deepest core.. I love everything you write your level of comfortability to express your deepest feelings and “secrets” inspires me..to express mine as well. I grand your work Shana you don’t know me but it feels like I know you, by just reading and accepting me and everything I am. Talk about Jesus, girl. Even if it makes them feel uncomfortable. I mean, come now Mindi, you worship Beyonce, and I worship like, the actual God who made the earth. To each their own, right? Enjoying your posts. Thank you for keeping it real. And for talking about Jesus.